The British government has been accused of “wearing the Saudi muzzle” over its failure to publicly condemn Saudi Arabia for continuing to flog a prominent blogger. Amnesty International said the UK government’s “credibility” is undermined, as it celebrates free speech in the wake of the Paris attacks but fails to condemn “oil-rich” Saudi Arabia. Saudi blogger Raif Badawi is to receive 50 lashes this Friday, the second installment of a 1,000-lash sentence for “insulting Islam” via an online forum he launched. Badawi, who also faces 10 years in jail and a £175,000 fine, was flogged 50 times after Friday prayers last week, just days after the Charlie Hebdo attacks in France. While the Foreign Office condemned the flogging, senior government officials have not publicly commented on the case. Kate Allen, Amnesty International’s UK director, accused the British government of “wearing the Saudi muzzle” over the case. The blogger’s only hope of reprieve this Friday is if a Saudi prison doctor determines he has not yet recovered from last week’s punishment. Badawi’s wife, Ensaf Haidar, told Amnesty International she fears her husband may not be able to physically withstand a second round of lashes. 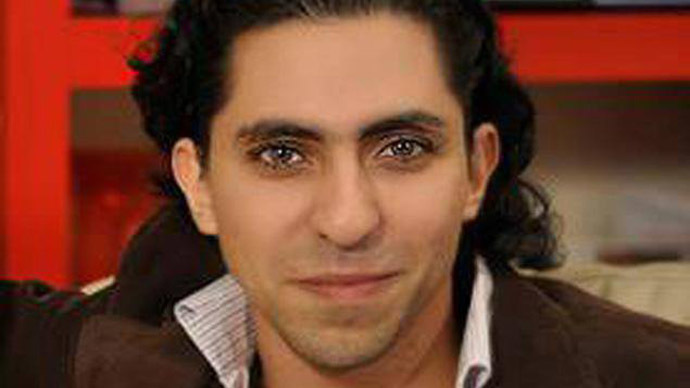 Speaking to Human Rights Watch, a witness to last Friday’s flogging in central Jeddah said “Badawi suffered visible bruising,” but was able to walk back to the prison car on his own. The writer and activist first incited the wrath of Saudi officials when he was detained in 2008 on charges of “apostasy,” or abandoning his religion – a crime that carries the death penalty. He was released a day later but continued to face persecution for editing his blog, Free Saudi Liberals, which criticized the role of Islam in Saudi Arabia. The blogger was sentenced to 600 lashes and seven years in prison in July 2013. Following appeals from his lawyers, a Saudi court increased the sentence last May to 1,000 lashes and 10 years in prison. Badawi’s punishment will be carried out in front of al-Jafali mosque for the next 19 weeks. Human rights groups have condemned the flogging. “Corporal punishment is nothing new in Saudi Arabia, but publicly lashing a peaceful activist merely for expressing his ideas sends an ugly message of intolerance,” said Sarah Leah Whitson, Middle East and North Africa director of Human Rights Watch. “Saudi Arabia is showing a willingness to inflict vicious and cruel punishments on writers whose views it rejects,” she added. RT contacted the Saudi Arabian Embassy in London, but was told the kingdom has no official statement to make concerning Badawi. American officials have taken a difference stance, with some saying that they have made their issues with the sentence known to Saudi authorities. When questioned by reporters on Monday, however, State Department spokeswoman Marie Harf stopped short of saying what, if any, specific steps the US is taking to stop the floggings from being carried out. CNN’s Elise Labott argued with Harf for several minutes, questioning why the government is not demanding that Saudi Arabia—a close US ally—change course. The spokesperson responded that the department is “not in the business of demanding things” from other governments, and she would have to get back to her with more information.